At BBK we’re often talking about adaptive recruitment and the importance of modifying traditional approaches to increase patient enrollment and retention. Developing an overarching branding strategy for a clinical trial is one of the first steps in a patient recruitment campaign and it’s not a one size fits all approach. BBK has worked on thousands of campaigns over the years, many of which target patients in various countries. There is a lot of diversity to consider when developing the right clinical study branding strategy. Multiple languages, differing philosophies on sensitive topics that may be taboo to discuss publicly in some countries, and varying regulatory environments mean branding must take a strategic and thoughtful approach. 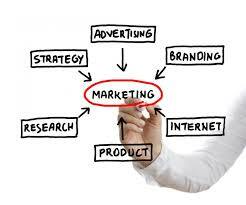 In order to succeed we must adapt the marketing message while maintaining the integrity of the brand. Take for example a recent campaign BBK completed in four different countries that focused on endometriosis. Though endometriosis is fairly common, affecting roughly 4–10 percent of women worldwide, there is a social and psychological impact associated with this painful disease, which can make it difficult for women to talk about. The often debilitating pain associated with endometriosis can impact day-to-day activities, the capacity to work and even the ability to reproduce, a very sensitive topic for most women. Our campaign started by gaining an understanding of the target audience, identifying key drivers that would guide our campaign and then developing a set of tactics that would secure results. While what we say in a patient recruitment campaign is hugely important, graphics must also convey a cohesive message – whether it is through Internet advertising or physician referral materials. The goal is to use images that the entire target audience can identify with. In this case, we chose the image of a woman that could represent any one of the countries we were marketing to, to help tell the story. With the message firmly in place, it was time to determine how best to reach our audience. In this campaign BBK recommended a multi-pronged approach consisting of streaming radio, online advertising / banner ads, search engine marketing and print advertising. In addition we developed a series of marketing tools to arm referring physicians with. Each marketing campaign is unique and therefore, BBK takes a unique approach to its creation. Comment in with questions about our approach and continue to check back on the blog for more highlights from some of our recent branding campaigns.